The Smart Pot is a soft-sided fabric aeration container designed to promote plant growth. The porous, long-lasting fabric provides drainage, releases excess heat and air-prunes roots. Smart Pots are BPA- and lead-free and reusable. 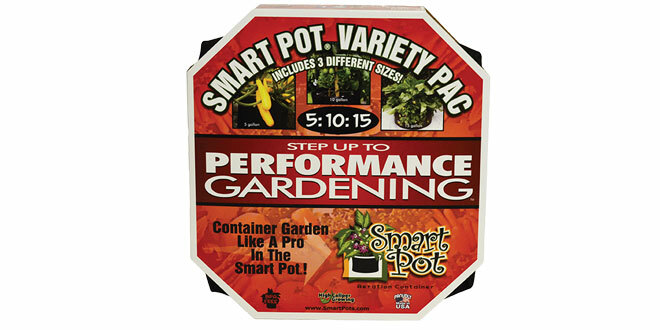 The Variety Pack includes 5-, 10- and 15-gallon pots.